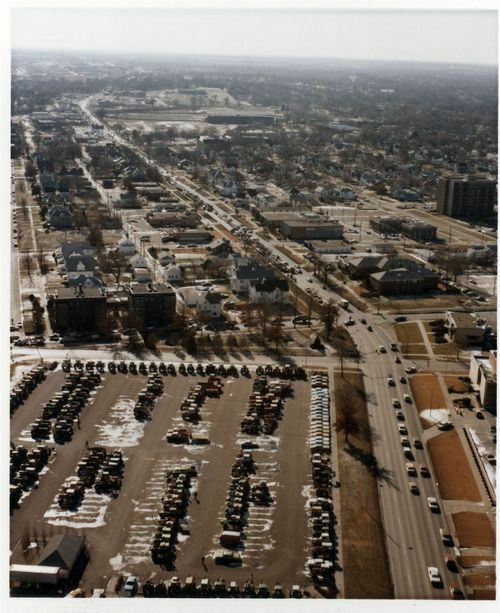 Aerial photographs showing participants in the 1979 tractorcade as it drove through Topeka, Kansas. Kansas family farmers joined the tractorcade as it traveled to Washington D.C. to protest American farm policy. Convoys of tractors from as far away as Colorado and the Dakotas drove eastward, traveling at a mere 14 miles per hour.